Cool! Love the facial structure. Suze got me the complete TV series a few months ago. Looking forward to watching it. Like Star Trek: The Next Generation, Batman Beyond was one of those things I thought was a bad idea, you know, like New Coke. Well, in both cases, I could not have been more wrong. Loved the cartoon and the comic, thanks in no small part to Craig's art. Always enjoy seeing Craig's take on the character. What I like about this head shot is that it looks like Terry has grown into the job. 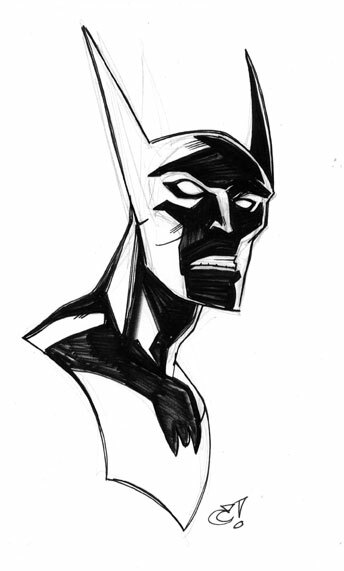 No longer the fresh faced kid, this Batman Beyond is a seasoned veteran of the war on crime.